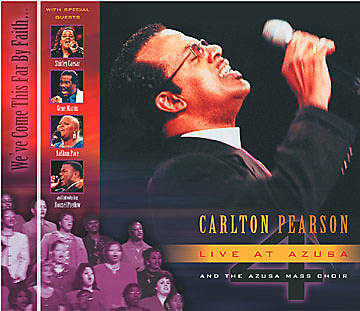 Carlton Pearson’s latest release Live at Azusa 4 is a vibrant, Holy Spirit-inspired expression of the freedom we all have in Christ Jesus. Recorded live at Higher Dimensions Evangelistic Center in Tulsa, Oklahoma, Carlton Pearson, along with the Azusa Mass Choir, performs with guests such as The McClurkins, Tramaine Hawkins, Shirley Caesar, and Lashawn Pace. Essential.